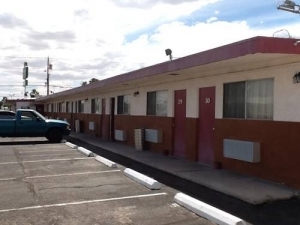 A Fisher's Inn Motel is conveniently located right off the I515 just minutes away from the airport, convention center and UNLV. Every room is modestly furnished and Wi-Fi access if free. Also take advantage of the guest laundry room, flat screen TV with a long list of channels, refrigerators in every room and lots of shopping and restaurants around.